Indonesia is a country with the largest Muslim population and at the same time the third largest democracy in the world. Looking at the sheer geographical and demographic size of Indonesia, one might wonder on how Indonesia has been successful in the implementation and consolidation of democracy. There has been (still is) some skepticism among people, particularly in the West, about Islam and democracy; Islam is perceived as being incompatible with democracy. Against all this skepticism, Indonesia has shown that Islam and democracy can go well together. What are the decisive elements in the Indonesian experience? What lessons can be learned? What are its challenges? Prof. Azyumardi Azra CBE is an historian, educator and an Islamic intellectual who advocates a moderate interpretation of Islam. He is Professor of History and Director of the Graduate School Syarif Hidayatullah State Islamic University in Jakarta. 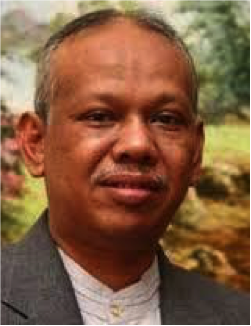 Previously he was Rector of this university for two terms (1998-2002, 2002-6) and Deputy for Social Welfare at the Office of Vice-President of the Republic of Indonesia (2007-9). He has also been international Visiting Professor at various universities around the world. He is the recipient of the 2014 Fukuoka Prize for his contribution to the promotion of outstanding culture in the Asian region, and the enhancement of mutual understanding and peace in the region. Dr. Nikolaos van Dam is a specialist on the Middle East who served as Ambassador of the Netherlands to Indonesia (2005-10), Germany, Turkey, Egypt and Iraq. Van Dam studied the Arabic Language and Islam, as well as Political and Social Sciences at the University of Amsterdam. He wrote a widely acclaimed book on Syria: The struggle for power in Syria (2011). Prof. Jan Michiel Otto is Professor of Law and Governance in Developing Countries and director of the Van Vollenhoven Institute for Law, Governance, and Development. He has published extensively on various topics of law and administration in developing countries, including Indonesia and Egypt. In recent years he has published among others on issues of ‘good governance’, as well as on comparative sharia and national law in the Muslim world.